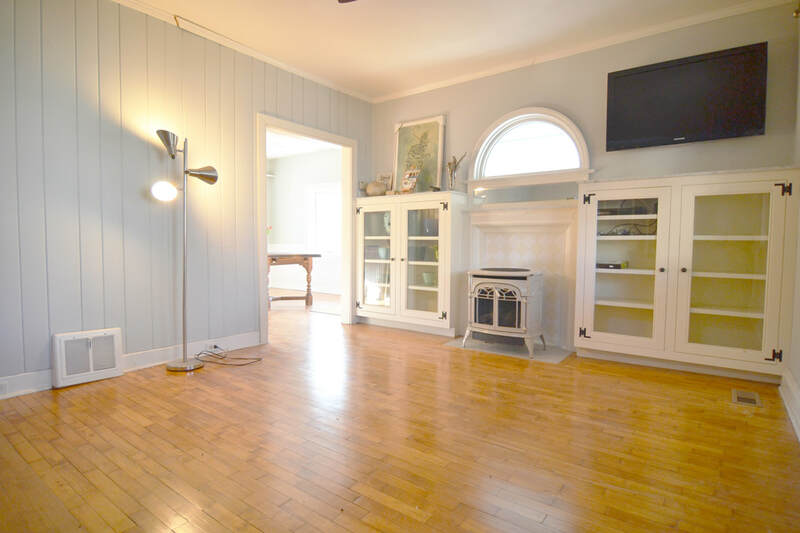 11 Talmadge Place brings exceptionalism to the Norwalk buying market--this home has all the charm you expect of the early 1900's construction, with some modern updates. In a quaint neighborhood near parks, schools, and walk to the train station, this home immediately grabs your attention upon visiting. The front porch is inviting, and connects two doors that lead inside, and the mature trees and plantings really make you feel welcome. Upon entering the front door, your eyes catch the fireplace at the center of this living room, complete with built-ins, a palladian window, and hardwood floors. The fireplace is actually a stove that maintains heat better than a traditional fireplace. Those same exquisite hardwood floors follow you into the dining room and kitchen, which are both bright, large spaces. 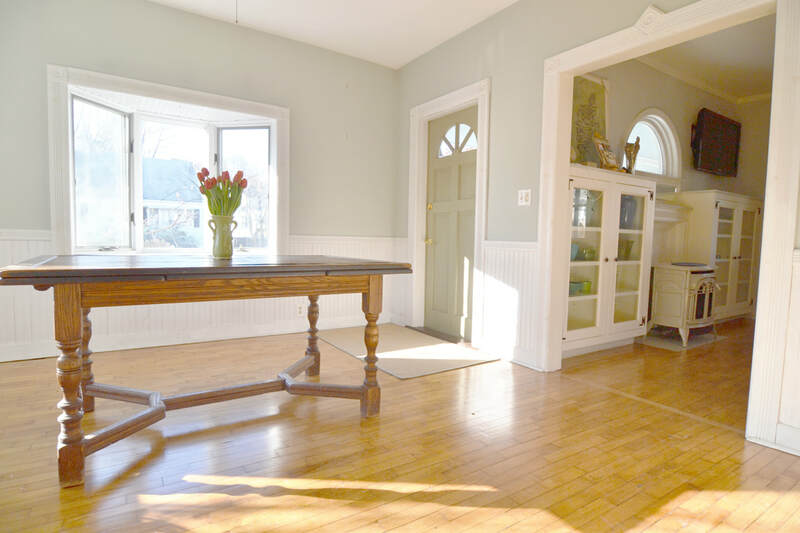 The dining room has two bay windows that show your back yard, and another door to that front porch--the beauty of this room is not to be understated, with the character of the year built, as well as the amazing afternoon light that penetrates this space. The kitchen in this home has many updates, including new countertops, and a reconfiguration that makes the space more functional. It's large, with plenty of space for a future island, or some other creative use if it is redone. There are plenty of windows, keeping with this theme of natural light in this home. Some appliances are new, and there is plenty of countertop and cabinet space. The kitchen has a staircase down to the basement, as well as a back door exit onto a small deck and the back yard. The yard is fully fenced for privacy, and has access to a side door to the garage. Before you arrive at the back yard, a fully-updated bathroom with stand-up shower makes for the perfect toilet room for guests. On your way upstairs, you run into folding French doors that lead to a bedroom suite, with full bedroom that leads to another full bedroom and a full bathroom. The bedroom in back has windows on three walls, and hardwood floors that match the rest of this upstairs. The last bedroom is the largest and also has three windows. 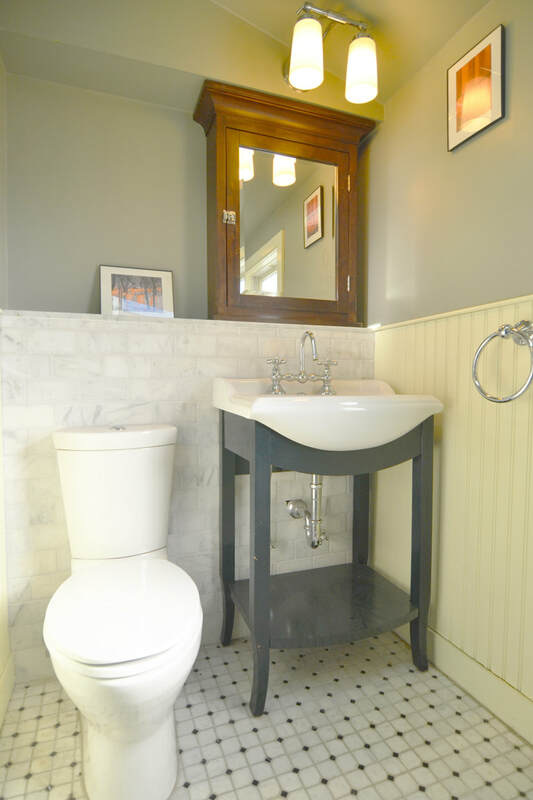 The bathroom on this level is completely updated, with high-quality tile work, plenty of trim work, and more. All the way upstairs, to the third level, there are two rooms that are used for storage, though with some creativity, could be more. This space lends itself to many other uses! The basement that is accessed through the kitchen has the washer/dryer, and has ample room for additional storage as well. I cannot say more nice things about 11 Talmadge Place, because it has everything today's buyer wants, including a price point that is impossible in this city. In addition, there are plenty of nooks and crannies and storage, for a home that has had mostly everything updated since this owner has occupied the home. If you have interest for yourself or a friend, just hit the 'See The Home' button and let me know! Get connected to us, start receiving updates and educational information so you can become and expert like us.